Oneohtrix Point Never - We'll Take It. Vinyl EP. Bleep. 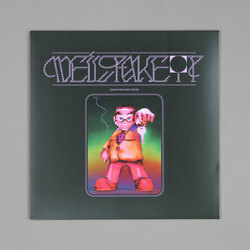 Oneohtrix Point Never presents We'll Take It, an instant highlight of his latest Warp album Age Of. 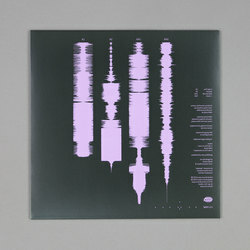 We'll Take It represents the strongest cornerstone of OPN’s Age Of, welding together the track's spinning ratchet drum patterns with the addictive pop-noir vocal hooks, it’s set to grabbing the imagination of Posh Isolation and Yung Lean devotees and pull them into the centreground of its vaporous prog cloud. 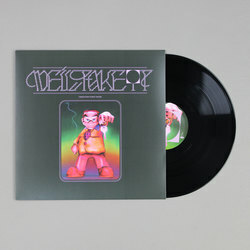 The EPs bonus levels 'Monody' mixes a digitised harpsichord with a truly sci-fi FX selection that sees the piece instantly expanding outward into a mix of glassy liquid swords going up against gabba kicks that sits nicely between the future-past classics of Gescom and Kuedo. 'Blow By Blow' meanwhile rises through a shower of exotic percussion before fading into a rainfall of field recordings that by the end of the track seemingly wash away within the ever-growing depths of downpouring digital rain. Most excitingly though, We’ll Take It comes backed with the long-awaited worldwide availability of 'Trance 1' (a piece now officially released globally thanks to fan demand) which originally appeared as a Japan-only bonus track. Edited here into an arrangement that paid tribute to The Voyager Spacecrafts’ Golden Records that held sounds and images selected to portray the diversity of life and culture on Earth, and was sent out to be found by extraterrestrial life forms. If you have been fully locked into the space station portal of Age Of since its release, then We'll Take It is your next landing point.